There may be uncertainty about the future, but you can rest assured that as ever, we’re stocked up and ready to tackle any project of any size or specification. It seems barely a day goes by without news of another UK manufacturer making efforts to stockpile products and raw materials to mitigate against a ‘worst case scenario’ following Britain’s departure from the EU at the end of March to ensure there’s no danger of a halt in production. 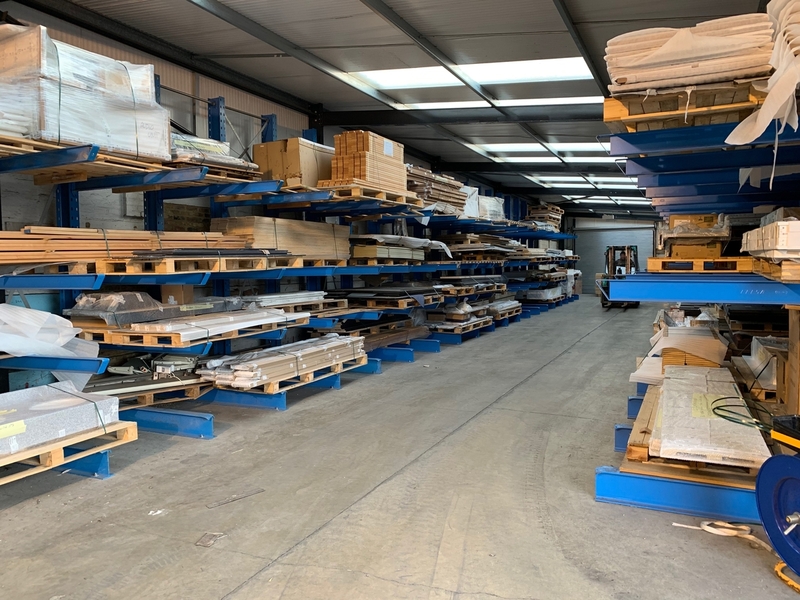 We pride ourselves on maintaining a consistently high level of stock, including materials and our standard products, and with our large dedicated storage warehouse based on site we’ll still be able to meet those quick turnaround times for shorter lead projects as and when required. We also keep a ready supply of any more unusual materials which can be difficult to source, so that nothing stands in our way to deliver a project on time and to schedule – whatever may happen next. Having a large storage facility on site means we’ve even been able to increase stock levels of certain key items in recent months without impacting on our ongoing factory operations. And with our extension project well underway, our factory space and storage capacity is set to increase in the coming months – allowing us to continue to cover bespoke projects and those demanding a quick turnaround. Not only that but it also means we can maintain material costs for our clients, even if costs rise. While there is still uncertainty around what is going to happen come 29th March, you can rely on Washroom to deliver as our service will remain constant, whatever happens.